Celebrating Black History Month Through Wine! 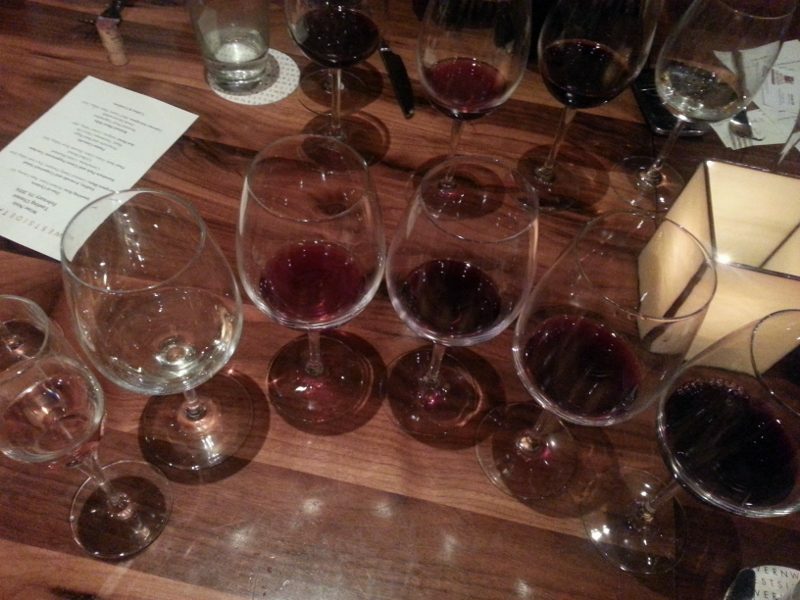 Since February is Black History Month what better way to recognize it than with a dinner highlighting some great California wines made by African American Winemakers? Did you know that there are more than 7,000 wineries in the United States but only 20 of them are owned or made by African Americans? According to Roberta Rinaldi of Wine Noir, a meet-up group and broker for wines made by African Americans, history tells us that African Americans first appeared as vineyard workers for Thomas Jefferson, who liked French and Italian wines. But there is a limited amount of history known up until 1997 when Iris Rideau, who is of Creole heritage, started Rideau Vineyards in the Santa Ynez Valley, becoming the first African-American female winery owner in the United States. 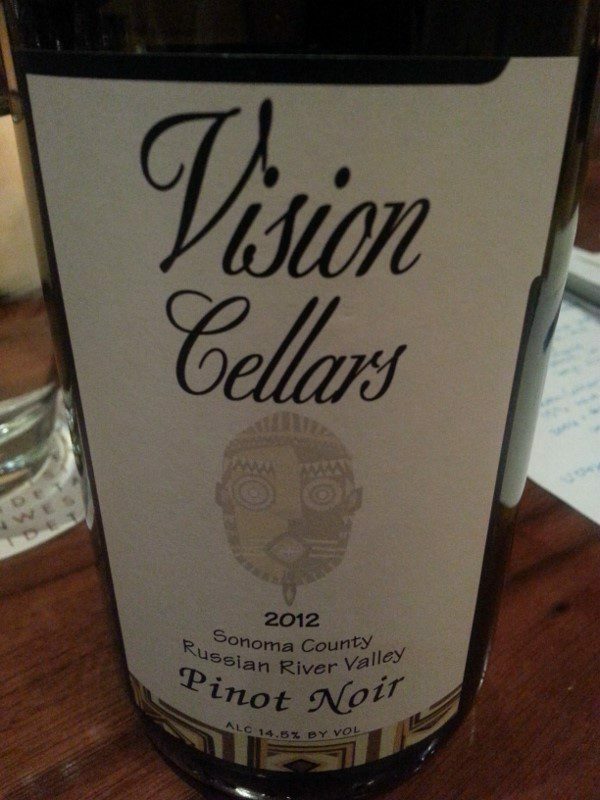 Also in 1997, Mac McDonald released the first vintage of Vision Cellars. Mac, son of a Texas Moonshine maker, tasted a 1952 Burgundy when he was 12 years old and fell in love, determined to one day make a wine like that. 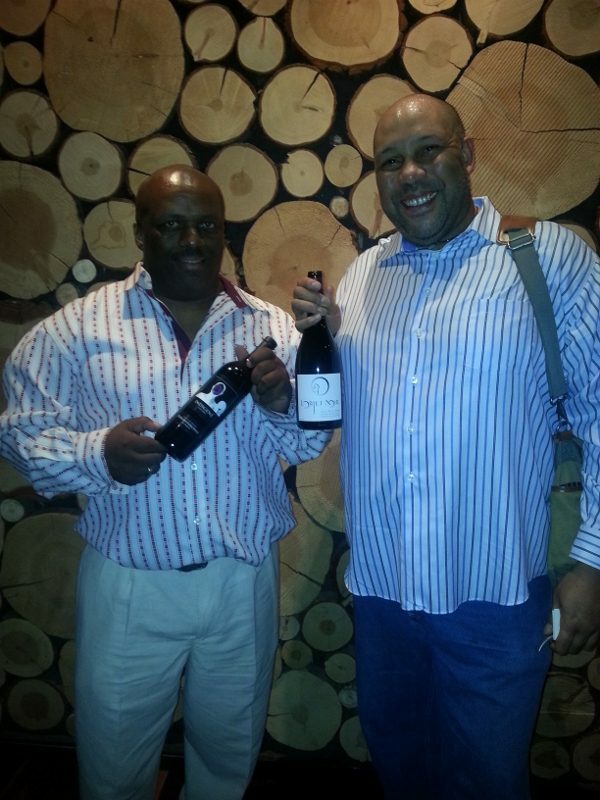 Today there is a new generation of African American winemakers on the scene and two of them – Raymond Smith of Indigene Cellars in Paso Robles and Dan Glover of L’Objet wines in Sonoma – joined us for dinner. 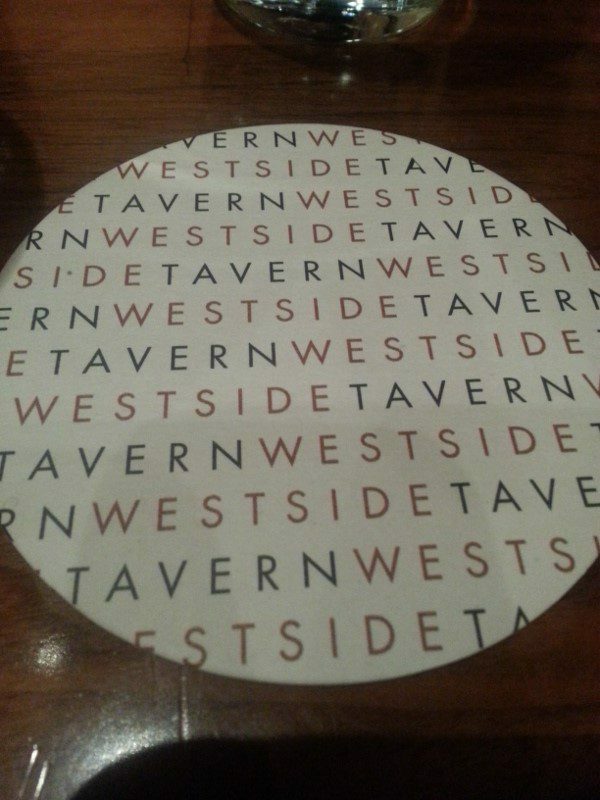 Dinner was at Westside Tavern in West LA where Chef Ben Cohn created a special five-course dinner. 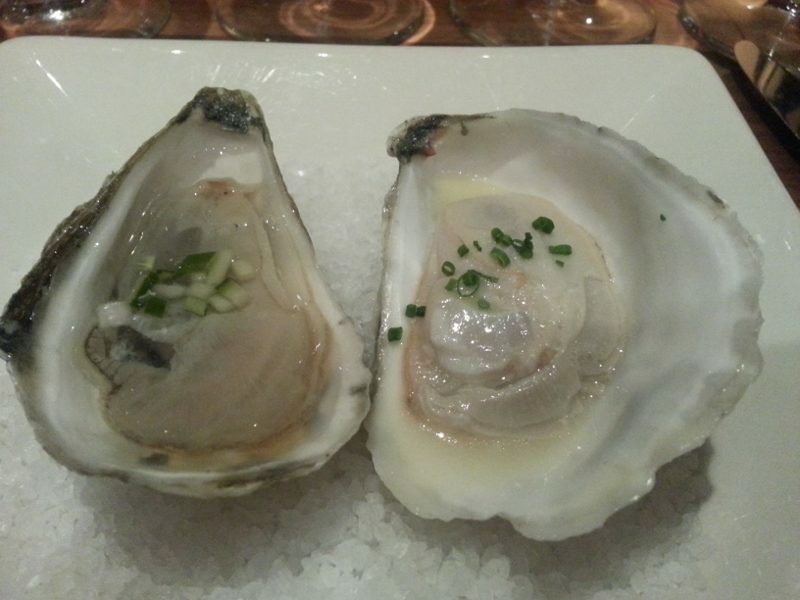 Duo of Oysters – Barnstable oysters from Cape Code, one with cucumber mignonette made with white balsamic and champagne and the other with beurre blanc. 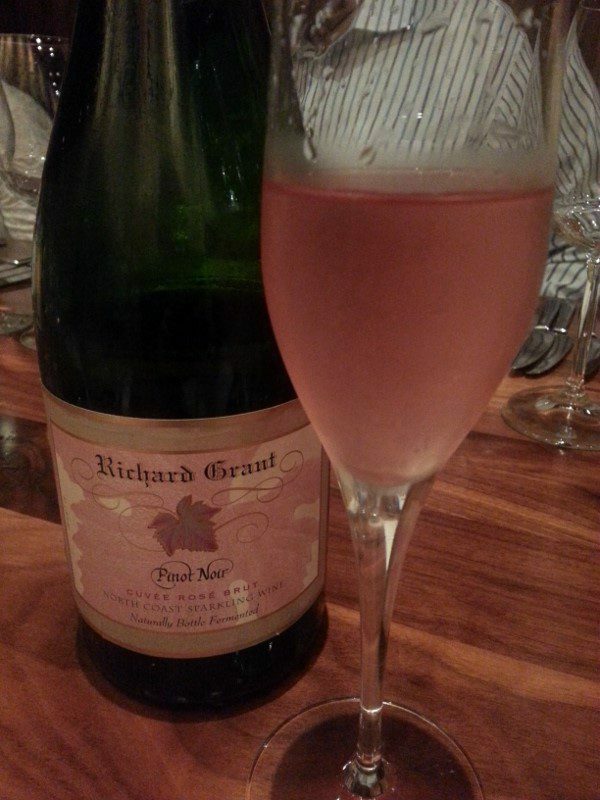 Paired with Richard Grant Sparkling Rose, NV – From the North Coast, this rose sparkling wine is made in the traditional Method Champenoise style. 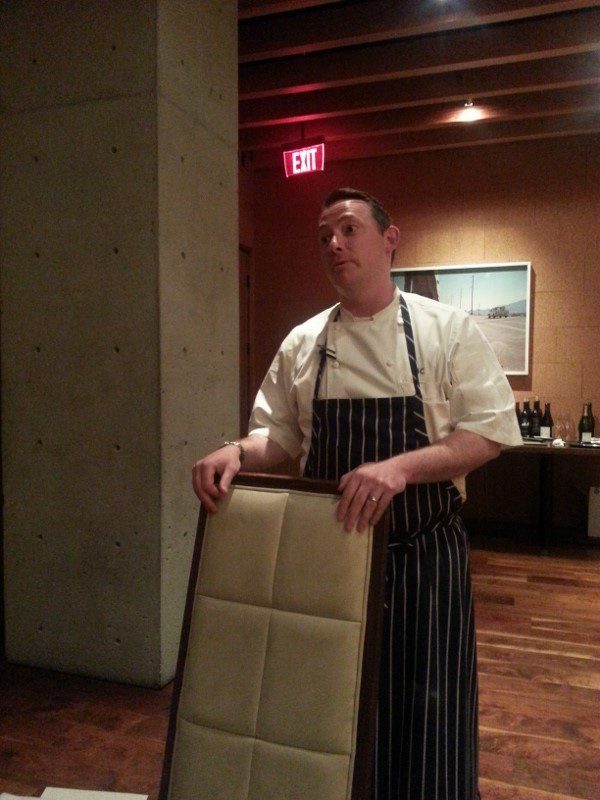 On the nose, the wine had aromas of strawberries and the bubbles paired perfectly with the oyster with the beurre blanc. 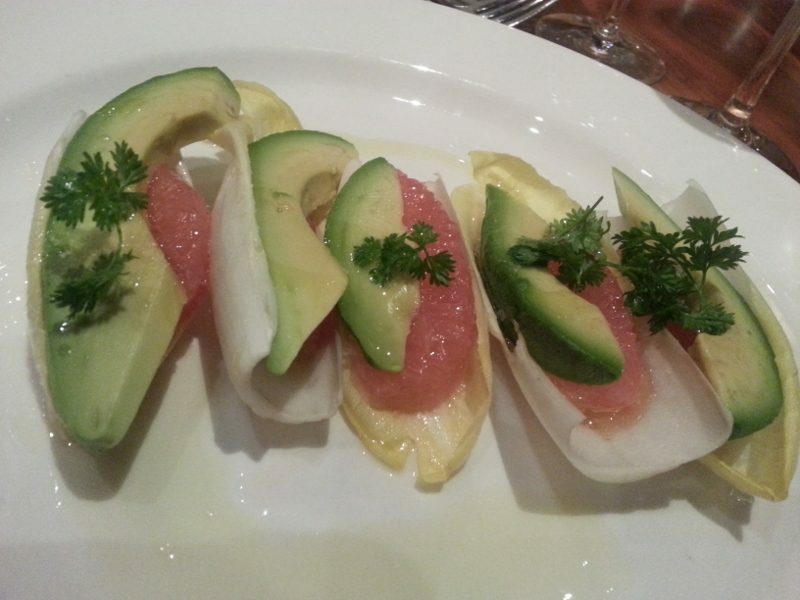 Endive, avocado and grapefruit salad (with baja olive oil, chervil and sea salt) – Inspired by Chef Cohn’s time in Northern California, this crisp salad is all about texture. 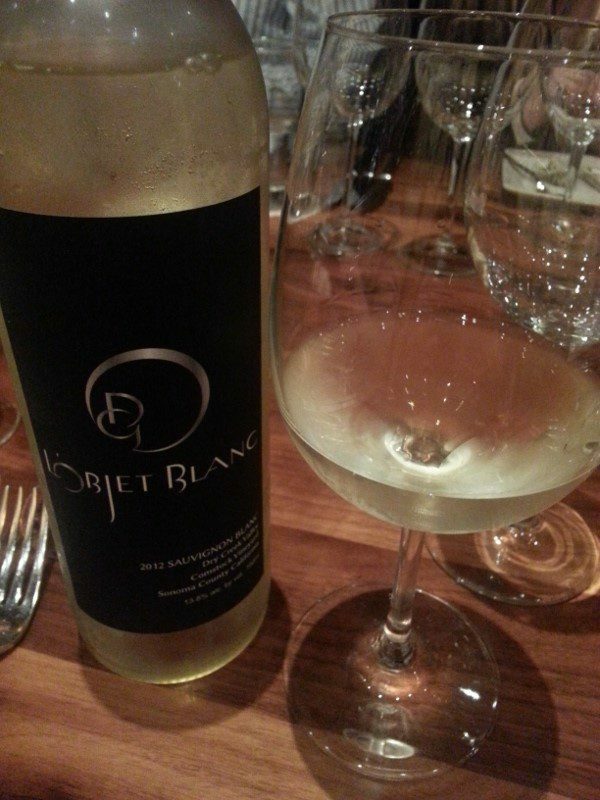 Paired with 2010 L’Objet Noir Comstock Family Vineyard Sauvignon Blanc, Dry Creek County – A Sancerre style Sauvignon Blanc, the wine has notes of tropic fruits and have great acidity but is also velvety on the palate. 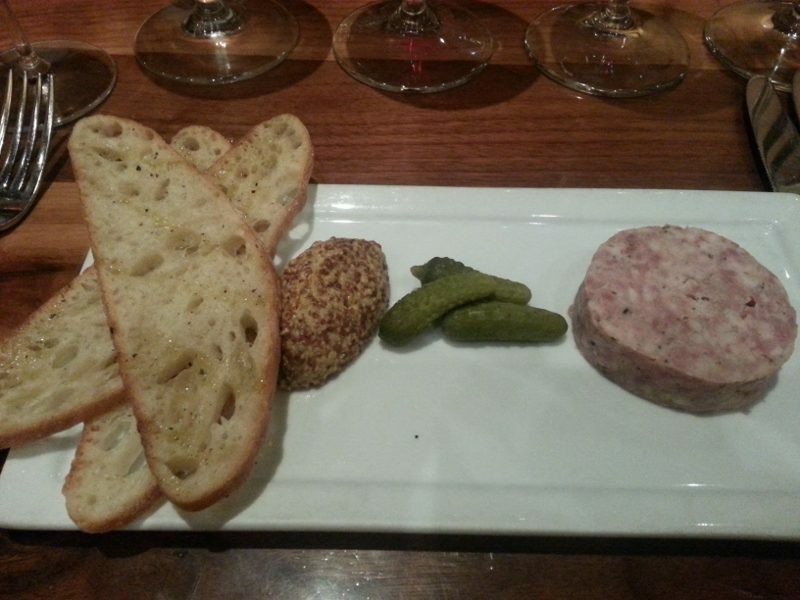 Kurobuta pork with green peppercorn, torchon, cornichons and grain mustard and grilled bread – classic charcuterie and what better pairing with pork than Pinot! 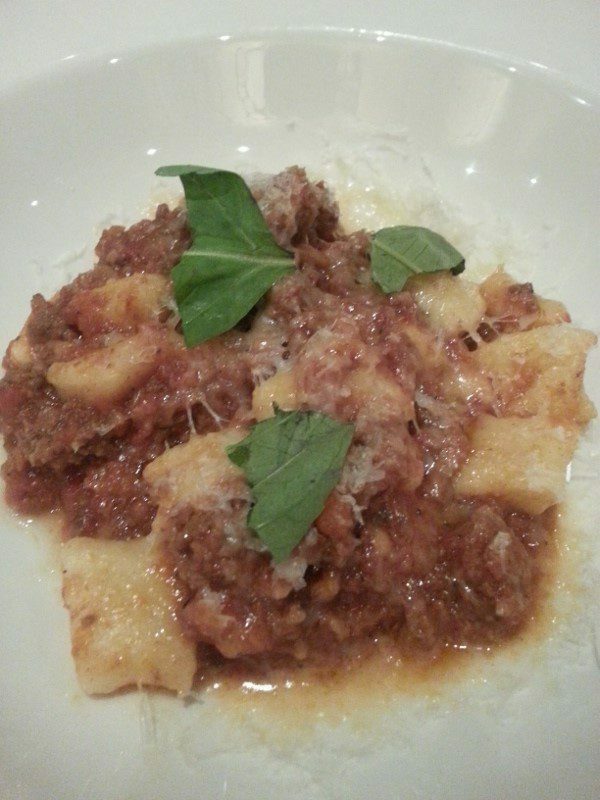 Paired with 2012 Vision Cellars Pinot Noir Sonoma County, Russian River Valley – This wine has been served in the White House since 2006 and in 2006 was ranked the #6 domestic Pinot Noir produced. A fruity Pinot, this wine had a lot of spice on the front of the palate. 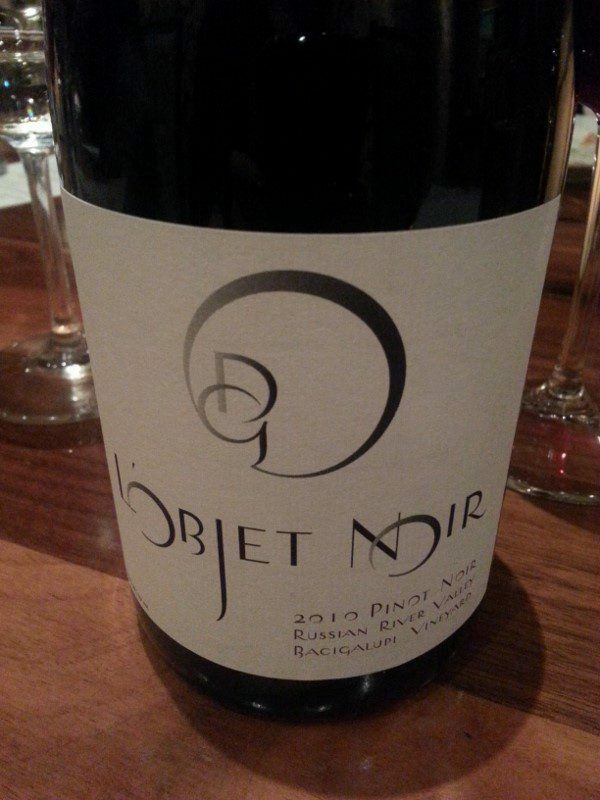 AND 2010 L’Objet Pinot Noir, Bacigalupi Vineyard – Burgundian in style, this wine is earthy and velvety with a great mouthfeel. Paired with 2007 Indigené Cellars Philanthropist Red Blend (cabernet sauvignon, petite sirah and petit verdot) – If the big, fruity, structured wine with a hint of chalkiness and “sprinkled” tannins wasn’t appealing enough, 40% of the proceeds from sale of this wine go to local charities. 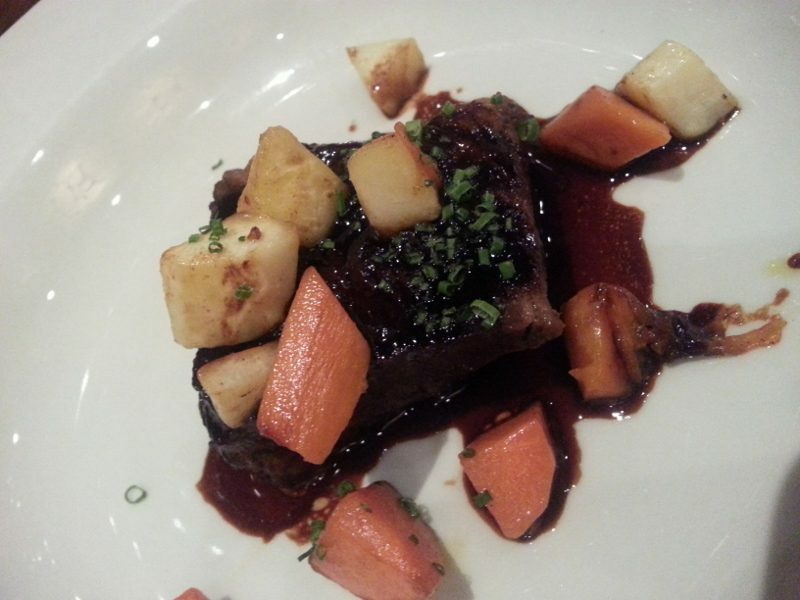 Braised short ribs with roasted root vegetables, fresh horseradish – cooked for 7-8 hours, the short ribs were rich and tender and perfectly paired with the Cabernet. 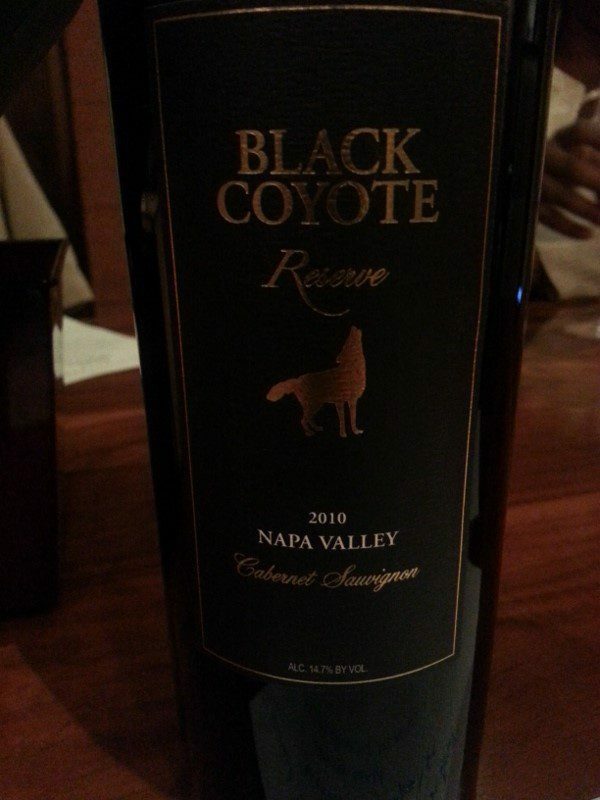 Paired with 2010 Black Coyote Reserve Napa Cabernet Sauvignon – Produced by Dr. Ernest Bates, one of the first African American wineries in Napa Valley (since 1997), the wine has bold flavors of black berries and chocolate. All in all, the wine was delicious and dinner with the winemakers was a fun and unique way to celebrate such an important month for history. 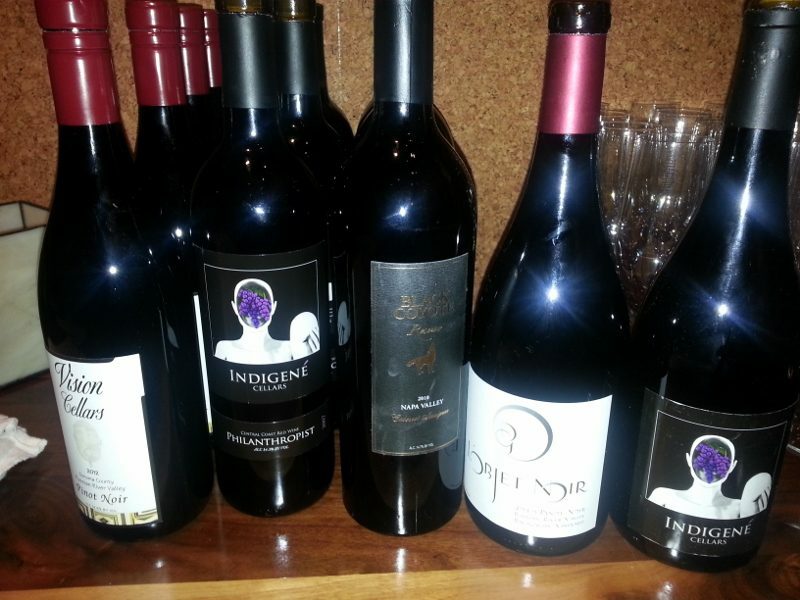 Although Black History Month is over we plan to continue enjoying these wines with friends and loved ones year round. Cheers! This entry was posted in Food, Lifestyle, Wine and tagged African American Winemakers, Black Coyote Reserve Napa Cabernet Sauvignon, Black History Month, Chef Ben Cohn, Dan Glover, Dr. Ernest Bates, Indigene Cellars, Indigené Cellars Philanthropist Red Blend, L'Objet, L'Objet Noir Comstock Family Vineyard Sauvignon Blanc, Raymond Smith, Richard Grant Sparkling Rose, Vision Cellars Pinot Noir Sonoma County, Westside Tavern, Wine Noir by Allison Levine.